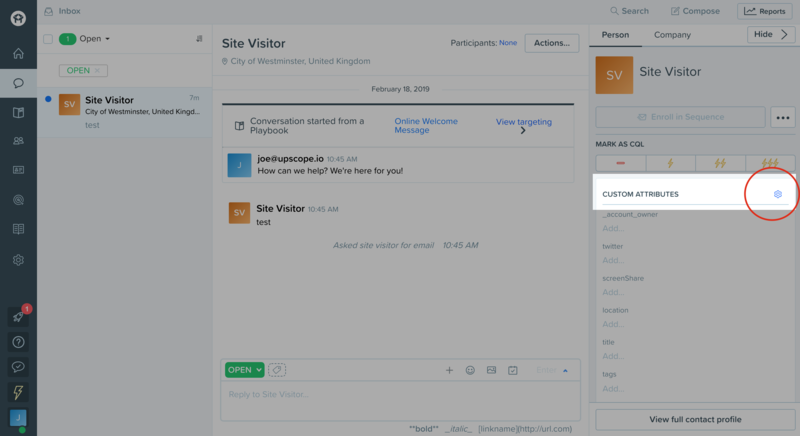 Upscope integrates with Drift allowing you to go from chat to viewing a user in seconds. Upscope integrates with Drift allowing you to go from chat to viewing a user's screen in seconds. Simply copy and paste the installation code beneath the Drift code. 2. 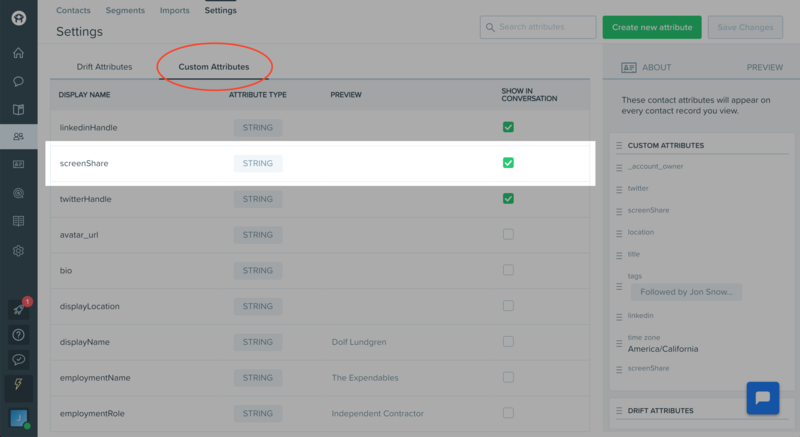 Head to 'Custom Attributes' and make sure the 'screenshare' checkbox is ticked. 3. When you open Drift and click on an individual chat, you'll see a screen share link appear in the panel. Copy and paste this into a new tab. Note: Normally the link is clickable, however, currently it's not, Drift will add this ability to click and go directly to the screen although for now you'll need to copy and paste to a new tab to go there.